Salmon-rose tips blending to golden yellow with a rose center. 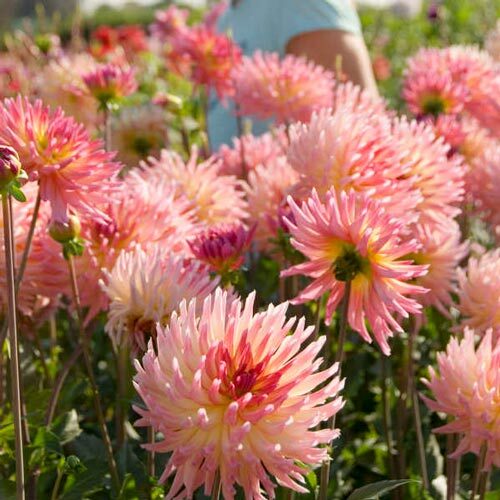 We first came across this new series of dahlias while visiting the Verwer Brothers a few years ago in their trial gardens. 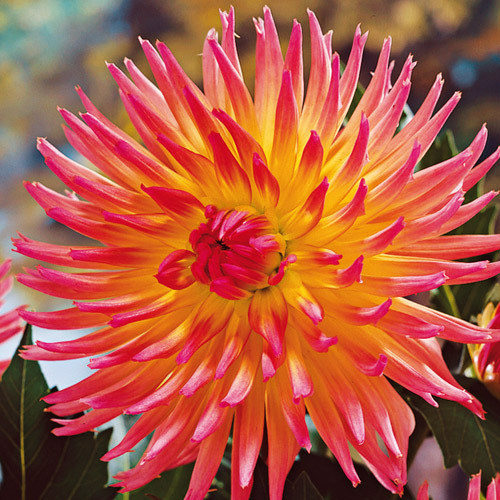 This was developed for the cut-flower market in Holland because of their extraordinarily strong stems and almost iridescent colors. You will have to see it yourself to truly see what we are talking about. 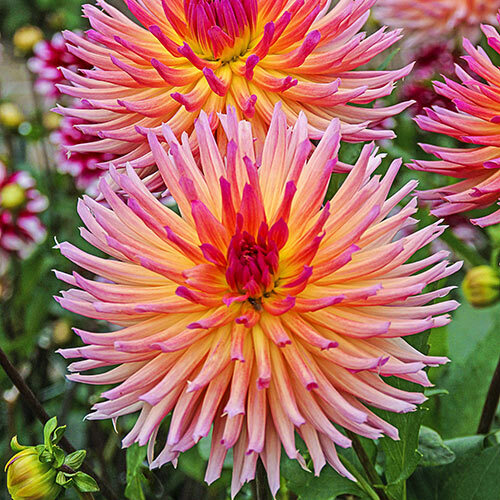 Remove spent flower heads to encourage more blooms and maintain a neat appearance. Dahlias are not hardy. Dig the tubers in fall and store in dry peatmoss in a cool, dry and frost free location. Dry tubers for a few days (preferably outside) before storing!